One of the main reasons why I started this blog in the first place is my desire to learn more. Not only is this motivation for me to document the things that I've learned about the city (and share them with others), but by being public people might contact me so that we can share knowledge. This has started to happen, and I can't be happier. A reader by the name of John Christensen wrote last week, asking if I knew much about the Sabaean Religious Order, which he remembered from quite a few years ago. I'd heard of them, having a couple of older addresses and a few kernels of information, but not much more. John did some research of his own and sent it my way. So we have him to thank for the majority of the information which follows. At some point the Sabaean Order was located at 3221 Sheffield. I don't know what the building on this location used to look like. This eyesore of a hardware store was put in its place in 1990. This is now the location of the Tonic Room. I wonder if they know the history of the building that they are located in. Arechaga's beliefs appear to draw largely from Egyptian beliefs and symbolism, amalgamated with Babylonian, Sumerian and African schools of thought. He used the word "Sabaean" rather than "Pagan," which he saw as having negative connotations. 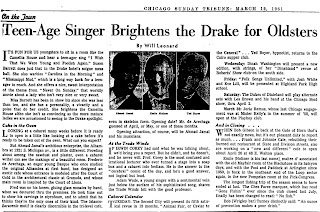 Arechega is interviewed as a part of this article from the Chicago Tribune, July 26 1970. 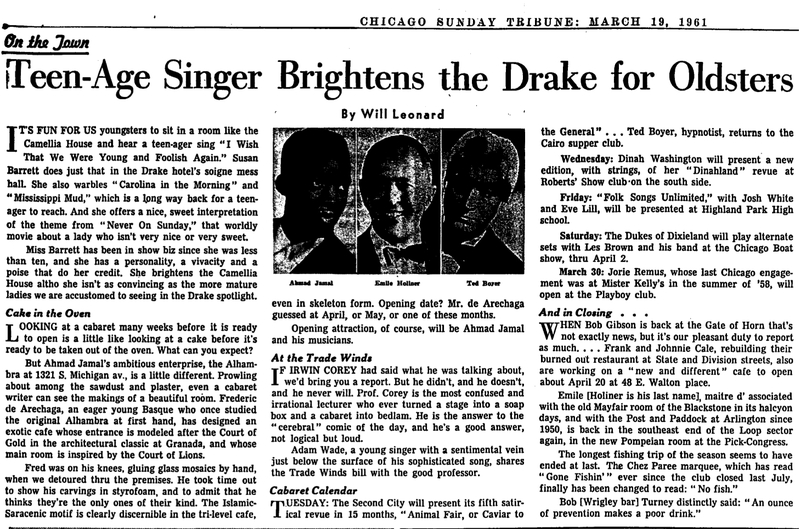 From the "Sunday's Best" television listings in the Chicago Tribune. Sunday June 17, 1972. 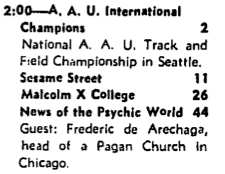 Chicago had a television program called "News of the Psychic World?" The Sabaean website is no longer operational, though you can access some archived pages through Archive.org. Here is one example. 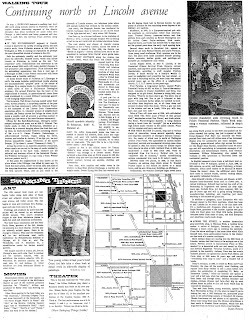 A bit of Arechaga's history can be gleaned from this 1961 article, which mentions his designing of a cafe, the Alhambra, for the jazz musician Ahmad Jamal. 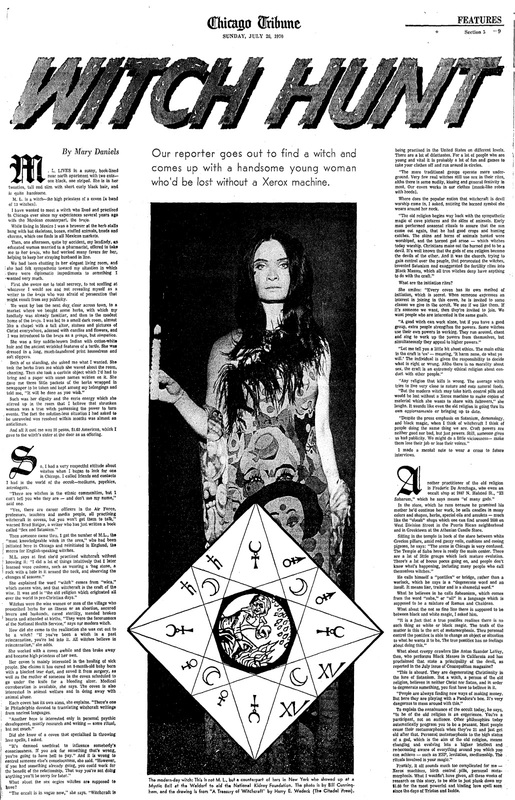 This article from 1974 discusses the occult revival of the time, interviewing Arechaga. Unfortunately I had an issue saving the rest of the article. 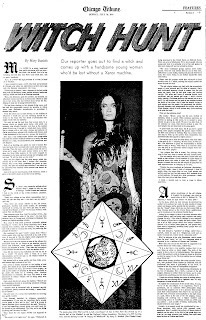 I will post it soon, as it involves an interview with Terry Taylor, who was behind a couple of local theistic Satanic organizations and occult stores in the 1970s. I doubt that Arechaga appreciated the connection. 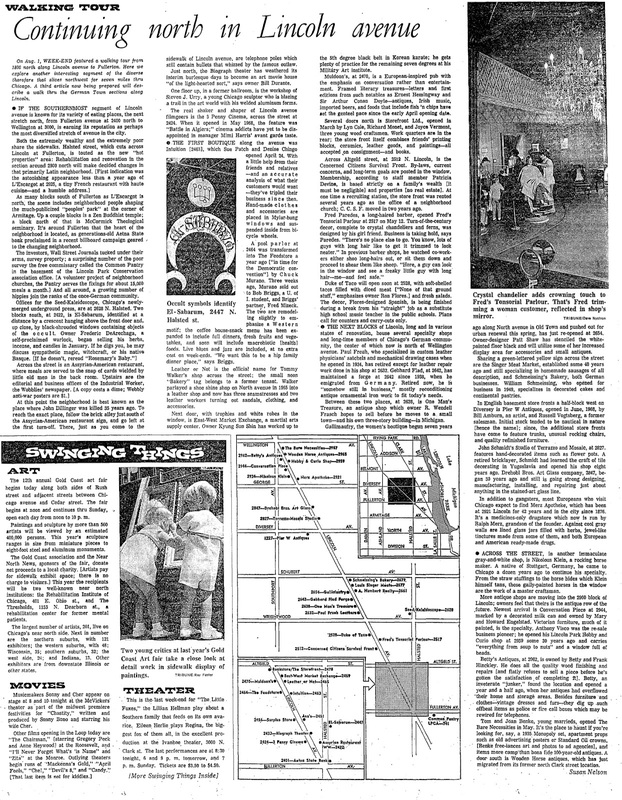 This article in the "Walking Tour" section of the Chicago Tribune from 1969 discussed the El Sabarum shop in context with the neighborhood and shows an image of the front of the store. In 2009, Marassa / Alafia started a SABAEA blog. In this post they discuss much of the history and philosophy of the group. In the comments on this post, it is revealed that Odun passed away on January 13, 2011. I'm sure that there are some readers here who remember Arechaga and this organization, if they weren't a part of it themselves. Please feel free to make contact and help fill in the blanks! 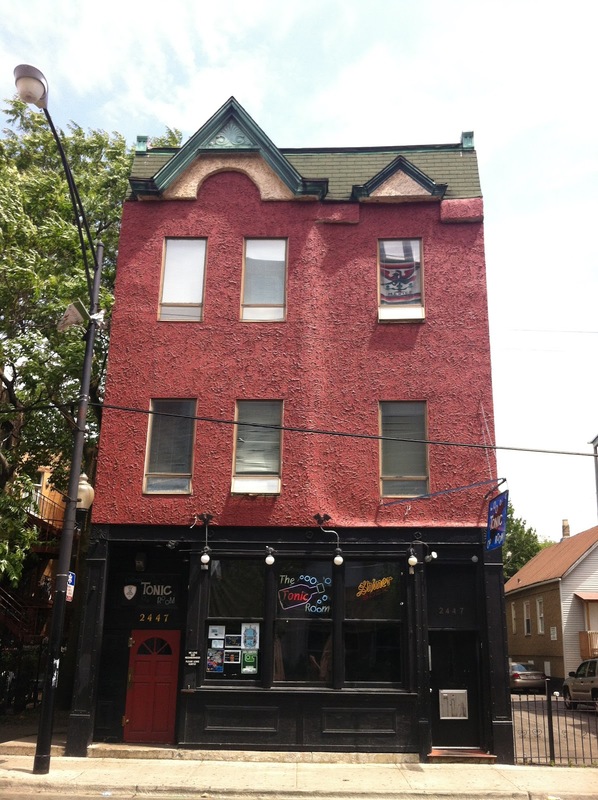 Not only does the Tonic Room know about El-Sabarum, they found a pentagram in the basement, and claim that some witnessed a human sacrifice ceremony there in the 30s, and that the building is haunted. there were NO human sacrifices! Thank you! I'll post an update! This Sabaean religious order to me sounds like an excuse for a group of detached freaks to get together and do senseless rituals for fun and one leader of the group to have power. To have power over these weak people who follow him. Yes, I'm sure they've done sick things to humans and I'm sure some sick person who's done wrong deserves to be tortured. But not the undeserving or children, nor the sacrificing of God's beautiful and innocent animals. This is completely unforgivable. Why conjure up the dead? Why disrupt their peaceful sleep? I would really like to know what is that you benefit from this? Besides just getting your jollies off! This message is in response to Esu Miwa comments. BTW, I am willing to answer questions if you would like. Thank you! I will post an update here with this information. And I would definitely like to ask a few questions. Please let me know the best way to make contact. Could I get in contact with you as well? I have been reading up on this religion quite a bit and it would be great if I could ask you a few questions. I know that this is probably way off to post a response to this board after five years-but I am really looking for information on the Sabean religious order. I know this is a long shot but I feel a calling to this faith, and I am really looking for answers! Fredy aka Ordun was a bad man. He molested children and I would not be surprised if he sacrificed human beings. He once cut off a goats head in front of my brother to silence him after he molested him. He told my brother that he would do the same to my mother, me and my other brother if he spoke up. My uncle Fredy was not good to people in my family or other people. The 200 god children of Freddy are blessed to be out of his life. Fredy's religion was a mockery and his way to con people into doing things for him. If the 200 plus had children around Fredy, I pray they were not molested. I hope Fredy changed in the past several years, but I fear for the sickness he left if he continued in his evil ways. Being in his temple ceremonies since the age of 3 was not a good thing. It messes you up from the things that you saw. I was a member of the Temple when it was on Halsted - about '76. Along with my then girlfriend later to become my wife. Lots of people were frightened of the place. Especially of the Temple "Graffiti" on the sidewalk. I used to buy Aleister Crowley books at the book store. Crowley was a big influence on Ordun and many of the members. I saw a house they used to occupy in New Orleans it still has the Egyptian mural in one of the rooms. It was on the TV show the Haunted on Destination America network. The spirits were attacking the new owners, but the copyright date on the episode was 2010. Yep. I saw that episode too. Have a copy of IRIS and found a card I'd picked up while frequenting El Sabarum. Yes, I can certainly give you a good idea of the temple, which was entered from upstairs for the group and down the back staircase (outside) to Frederick's bedroom. Hi Dr. Fritscher - I actually just picked up your book in a second hand bookstore in Cambridge MA and enjoyed it tremendously! -- your interview with Arechaga was actually what led me to look him up and thence to this blog. I'd be curious for your take then and since on Arechaga -- e.g., how much about his claims to this historical Sabean tradition, the idea that he had an "hereditary title" from his mother, etc. was a come-on vs. having an element of truth? Some of his proposed etymologies in the interview (Sin, e.g.) seem to be pretty bogus, others (Khem --> Chemistry) have the OED behind them. Again -- really enjoyed the book and plan to explore more of your writings in the future! I only visited El Sabarum a couple of times when visiting another group in Chicago. I remember the attargaddis incense we bought there - I still have the tiniest bit of it left, and would love to get more. As far as all the "charges" against the group and its leader, every group I know of was tarred with the same brush - true or not. So I tend to use my own experiences as a guide. My contacts with them were interesting and sharing. Out of curiosity, On Destination America network, they had a show on, regarding Odun, and this cult. As many religions and practices, they are often plagued by zealots, and any form of control, by any religion, is sad. But I wanted to know if anyone saw this, and apparently, his spirit was there, they did find human remains in the home in New Orleans, mirrors broke, etc. looked pretty intense, just wondering per earlier discussions, if this show was legit. I did not see any mentions of a home in NOLA, where some crazy activity was going down, apparently from this guy. Hello. I was choreographer for SRO. If the author of this blog would like to contact me for more information, I will be happy to answer via private message. please place something in subject line clearly, otherwise I'll likely delete with junk mail.